I’ve been shooting with the JVC GY-HM650 for over a year now and it’s become my go-to camera for many assignments. Being of handheld design, the camera is compact yet pro-feature rich, making it ideal for shooting conferences, newsgathering and any event where you need and all-in-one camera with professional connections and performance. 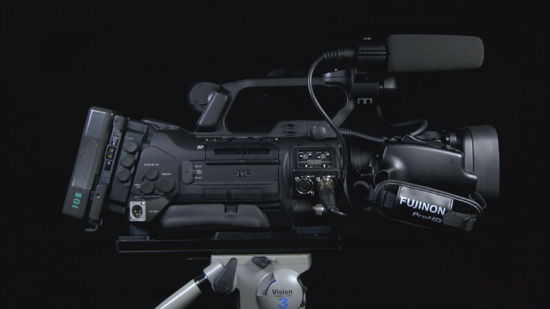 Since its launch the GY-HM650 has been an incredibly successful camera for JVC – a demonstration of which was its adoption by the BBC in 2013 when it purchased over 500 of them for newsgathering in the UK and overseas. But, as good as this camera is, there are still some applications where its handheld design makes it less than perfect. Whilst the camera is light and compact, the handheld design can be very tiring to use off-tripod for any length of time – which is true of any camera in this class. 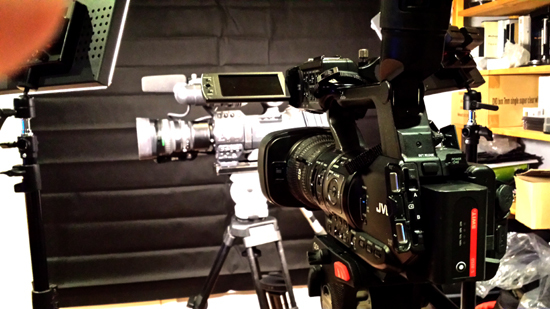 To address this, at the beginning of 2014 JVC launched the 800 series cameras – namely the GY-HM850/ HM890. The 800 series has adopted all the very best features of the 600 series and designed them into an excellent shoulder-mount solution. All the bits that I really like about the HM650 are included, plus there’s a host of new features which will appeal to a wide range of camera operators. If you have something to say, say it with video! 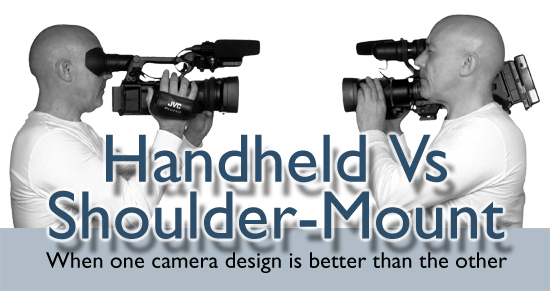 Towards the end of last year JVC approached me about creating a short documentary which explains why some applications are better suited to a shoulder-mount camera – and to reveal some of the other less obvious reasons why some camera operators prefer this design type. They also wanted something that would highlight some of the new features which have been introduced into this model to make it even more useful to the professional cameraman. Once you have used both of these types of camera you’ll have a very good understanding of where one performs better than the other. However, in today’s world of DSLRs and the trend of making cameras smaller and smaller, its not that obvious to the uninitiated as to why a shoulder-mount camera could be preferable. Despite being substantially larger and heavier, the only way you can persuade someone that they are far more comfortable to use, easier to handle and far less fatiguing to operate off-tripod for any length of time is to actually get them to try it out. My challenge for this film was just that – to encourage camera buyers to actually consider the camera design more closely and to explore all possibilities – and ultimately to give shoulder-mount cameras a try. I hope it achieves this! After an initial consultation with JVC I presented them with a short treatment. Following a few tweaks the format was agreed and I worked on developing the script and coming up with ideas on how to achieve the objectives. Whilst it would be simple for me to simply talk people through the camera’s features I really believed that we needed to get some other people’s comments and views, so I planned a visit to the Kit Plus event in London and door-stepped a few of the delegates there to get their views on why the shoulder-mount design still has it’s place in video production. Apart from giving the viewer a break from my own on-screen performance, I thought it was extremely important to get other real users to reveal the important and less obvious benefits. I’ve produced a number of this type of film before here at our studios in Loughton, Essex – so finding the location to shoot the pieces to camera and the studio pack shots wasn’t a challenge. Every shot you see in this film was shot using my GY-HM650, with the only exception being the one shot of the GY-HM650 which was created using the GY-HM850. The only other material which was not actually filmed with the GY-HM650 was the GUI screen shots. These were created by capturing the camera’s HDMI output via the Intensity Pro card directly into my Edius edit suite. A huge thanks to JVC for commissioning this film, and also to those who volunteered their time at Kit Plus London to be interviewed. Looking out my window right now it’s hard to get in the mood for this new album from AKM Music. I should have really written this copyright-free music review on a warm summer’s evening with a cool beer in hand instead of looking out to a grey, wet and dismal November afternoon. But then again, it has brought a ray of light into my edit suite. 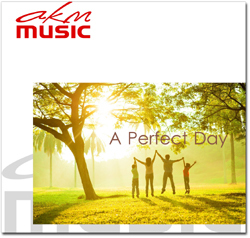 AK172 ‘A Perfect Day’ is pretty much what it says on the tin – a compendium of light and positive tracks which have a happy and upbeat guitar vibe. It conjures up summer scenes with the sun flaring through wooded landscapes with dandelion heads drifting on a warm breeze. Having said that there is enough variety on the album to create different moods but it should give you an idea what to expect. There’s certainly more than a hint of ‘Good ole USA’ throughout the album, which should make it appeal to the North American royalty-free music user – or indeed anyone looking to add a ‘made in the USA’ feel to a piece. More than one of the tracks leans on that country music steel guitar and fiddle sound. It’s not exactly ‘Deliverance’ but every now and then you’ll imagine yourself on a veranda swing chair chewing tobacco and spitting in a bucket whilst waiting for the rodeo to hit town. It does get a bit funkier in the middle of the album, with ‘Summer Barbecue’, ‘Cruising’, ‘Back in Town’ and ‘New Wheels’ taking the tempo up a notch. They are still very much in the American mood, but could equally be used on a non-USA corporate film to give you a more generic feeling of positively. There are also enough passages and breaks within these tracks to help you emphasis a point or drop the music level to an underscore and allow your feature sound (voiceover or interviews etc.) to rise to the top. The latter tracks ‘Running in the Fields’ and ‘Sunny Sunday Morning’ takes the pace back down again. The former has a tinge of “Hispanic” about it, whilst the latter is a bit more “hotel lounge music” – but both continue with guitar-based sound and steady drum percussion. Each score comes in three or four lengths; a full version, a long and short underscore and a short version of the main theme. I really like that feature of any copyright-free music album, especially on longer projects where you want to maintain a theme to your story, enabling you to link scenes and take the viewer with you on your story. I can’t think of anything I’ll be using this album on for the moment – but that’s the strange thing about choosing a copyright-free music score for your films. I’ll quite often find that my original ideas on music change as a film develops from paper, to camera and finally on the edit. It is so affected by the colours, the characters, the weather conditions and what the final message is (which can also change) that you can never have too much variety in your copyright-free library. I think this is one of those albums that one day will be drawn from my every expanding library and put to good use. Yee Ha! Notes: You can preview this album on the AKM Music website here. I’ve had these two AKM Music copyright-free albums sitting waiting to be reviewed for a few weeks now. Whilst sharing similar characteristics, they do vary quite a bit in their application. 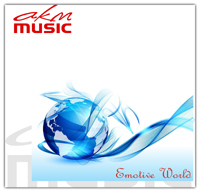 AK169 Emotive World is, to me, a movie theme track album. Whilst there are tunes on there that could be used underneath narration I think this one is ideal when your looking for music to go on top and drive your visuals. 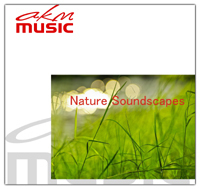 AK170 Nature Soundscapes is more of an album of narrative underscores or possibly musical wallpaper when you want the images to tell the story in their own. This album is all about big themes, mainly orchestral but there’s a few with a definite oriental feel to them. The first few tracks conjured up visions of big screen blockbusters but there’s also a smattering of tracks that could be used on corporates and commercials. Lots of voice effects here if you’re looking for some! Medium slow, repetitive orchestral piece with swirling start and building with stabbing strings and voice effects. It conjured up a victory scene from one later Terminator films, with a hint of electronic FX here and there. Back with the Terminator here. He said he would be! This could be used on the opening title sequence for the film or a scene where he rebuilds from being almost totally wiped out. There’s voice effects again on this one, with a slow beating of a huge timpani drum to create building tension. Nice dramatic ending to lead you into narrative. I was expecting something equally spacey on this but it’s an odd one. It starts with an electronic trumpet voluntary and gets all mixed up after that. There’s a horribly repetitive electronic stab which doesn’t seem to go away and eventually breaks into a chorus of electronic strings and odd sounding instruments (a bit like broken trumpets). Not my favourite. Orchestral, menacing – with swirling electronic strings which create an image of desperation and destruction. Oh hang on, there’s another voice effect, this time a male choir giving it a ‘heave ho!’ type effect. This soon fades though and we’re back to this medium-paced big orchestral piece. Could fit equally well on a bank commercial as it could on a big blockbuster sci-fi or war film. Poor attempt at a sad gypsy violin opening. If it was there to conjure up the emotions then it failed, and I’m not really sure where or how you’d use this one. Now they’ve got their electronic harp out and mixed that with what sounds like a young person’s voice effect and a harpsichord. It’s a simple tune this one, which makes it usable on all manner of films – especially those depicting kids. Think of all the previous tracks and edit them together. Lots of voice effects, string stabs and big orchestral sound. Goes on a bit! The rythym is building on this one with a big wind section chorus. I can imagine someone flying. Hear them jungle drums man! Well it actually starts with a Japanese taiko drum and gong sound but soon breaks out into a wild tropical jungle beat. This could be a really useful track if you were looking to cut something at a really fast pace. Slow with a strong steady big-drum beat. Definite oriental feel about it, with chorus line played on a shakuhachi wooden flute. Orchestral strings build and finally lead you out as a solo. Slow piano start, with orchestra sections dropping in one by one. And yes, you’ve guessed it, a choir of voices brought in for good measure. You can’t work out what they’re saying but it’s a feature that might preclude you from using the track. It ends on the piano, back on its own playing out it’s repetitive tinkle. Indistinguishable from the last one really, but a bit more of a Celtic sound and without the voices. Big orchestral piece with crashing cymbal sounds and horn sections. Eventually the voice effects come in and make you realise you’re on the same album. Could imagine this being used on a bank commercial. Violin opening sequence – obviously electronic but with a melancholy feel to it. Big drum and orchestral stabs and chorus pieces lift you up as the track moves along. No idea why its called ‘Sunday’. As the title suggests, we’re back with the Japanese Taiko drums this time but a lot less ‘jungle’ – more pure Taiko. A really useful track to have on hand if you are trying to get a really Japanese feel to something. Nice bamboo bashing to cut to. So sad – so very sad! Reminded me a bit of Hushabye Mountain from Chitty Chitty Bang Bang when it started, but soon fell into the same orchestra and voice effect pattern of other tracks in this album. An excellent mix of mood-creating and enhancing tracks to add to landscapes. Each track has at least three variations of the main theme including a short sting and alternative cut. Quite of a few of these would work really well as a background track to narration. Nothing will offend you too much, and some of the alternate versions are very different to the main, yet recognisably similar. This could make them ideal for a longer-form documentary. This would work well on a scene filmed from a drone over highlands, valleys and streams. A slow piano-led piece with highlights in flute and string. Again, quite a slow piece but has much more of an electronic feel to it. Wispy short electronic stabs and a twiddling keyboard underscore take you along. This is pretty non-specific, so could be used as a background for narrative quite easily. The alternate version (06) is a bit more electronic and less detailed – making it even more usable for a narrative underscore. A little more upbeat this time, but still with an electronic sound which has swirling keyboard effects and a driving electronic beat. An occasional subtle voice effect breaks in and slows the whole thing down before breaking back into the beat. The alternate version is a lot more melodic and slow with a piano lead. Think Native American prairie with a hint of Celtic tribe and you’ll have this one. Flute and swirling orchestral sounds will take you to a misty morning somewhere – with birds flying high over a silent landscape. The alternative version is very similar, but with a more pronounced flute sequence. This starts with an eerie distant drumming sound before breaking into strings and subtle flute. The beat then lifts with an acoustic guitar lead with a bit of a Spanish sound to it. The alternate version is a bit more reliant on the drum beat and has a bit more of an electronic feel to it. This one starts with a constant, slow deep swirling sound with distant strings and wind instruments. You can imagine drifting over a sea of ice during the first part of this. Gradually more definition is added with tubular bells, big string section and voice effects. The rhythm kind of creeps up on you. Reminded me of Bladerunner in parts. Alternative version is much simpler and more flute than anything else. In the past week Anthony McTiffen at AKM Music has kindly sent me their latest two albums for review. Whilst both are worthy additions to any video producer’s library of copyright-free music, they are both quite different in style and appeal. 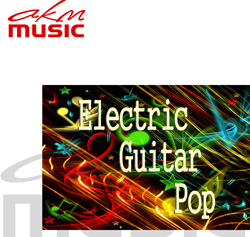 The first, ‘AK166 Electric Guitar Pop’, is pretty much what it says on the tin – driving American soft-rock which lends itself to corporate films which need a music underscore to push them along. The second, ‘AK167 Weird & Wonderful Vol 2’, is an eclectic mix of tracks which are calling out for all manner of images to be cut to them. To put it another way, AK166 is a follower and AK167 is a leader. This is not going to be a detailed review of each track on this album as they are all very similar. They are of course different, and their subtle variations are enough to warrant their place on the album, but they all follow a very similar theme and style. If I had to put a sound-alike label on the music it would range from Bruce Springsteen, to Asia, to soft-Stones to High-School Reunion – and pretty much every one of them could work as a theme tune on an American sitcom. I can’t say that I’ll be copying this album to my phone and listening to it in the car, but it’s certainly got its uses. I particularly like the fact that all 10 tracks come in full-length, loop and short versions – which is especially helpful on music which I believe will mainly be used under the images to give them a lift. Combining all versions you can pretty much extend the music to any length which is always helpful. This is what I’d call an inspirational album. The music ranges from harmonic voice-effect tracks to classical piano pieces – mixed up with Latin, Jazz, Funk, Surfin Dog and others (Surfin Dog will be explained). There is a pattern or style which links all the tracks but often on a “weird and wonderful” level. You’d certainly not expect to find tracks ‘10 Bachman’ and ‘23 Junkbot’ on the same shelf as each other let alone the same album – but somehow it all works. I’ll definitely be using one or more of these tracks at some time in the near future, but I also think it might help with the auditioning process by giving me a wide selection of musical styles to explore and trial on an edit. I find that a complete shift away in musical style from my initial ideas often brings out a completely different and more meaningful edit so this album should really help and inspire – and if there’s nothing on it that matches perfectly it will at least give me clues as to where I should be looking. This conjures visions of a ‘Mission Impossible’ with its piano driven and high-hat tapping rhythm. It’s jazzy and it’s, “in pursuit of suspect on foot” ducking in and out of doorways, through crowds, down stairs…. It’s tension – in a ‘Man from Uncle’ kind of way. I imagined seeing this on a trailer for a new and youthful day-time TV magazine programme for the under 80s presented by the Chuckle Brothers. You know it’s going to be light and possibly funny. In truth it’s hard to imagine where this will end up being used but its got character and its plucky strings, strumming bass and piano signatures leave you feeling very positive. Expect to hear the word “Der” a lot on this one as it’s a harmonised voice-effect track with calypso bongo breaks. You also get the occasional “Wooo” too but the lyrics are still easy to remember. It builds in complexity towards the end – right down to the last, extended and harmonised “der”. I like this kind of track because it’s hard to imagine where you might use it, but if you ever do it’s so perfect you’d think it was written specially. If I ever had to do a spoof Blues Brothers film this track would help me pull it off. It could match perfectly to lines such as, “There’s 106 miles to Chicago, we’ve got a full tank of gas, half a pack of cigarettes, it’s dark out, and we’re wearing sunglasses.” Again I don’t know if I’ll ever actually get to use it but I hope I do. A medium-paced rhythmic electronic score which I could imagine being used on a car commercial. Not just any car though, the Coolthrash 8000 with super-booster charged engine and hand-crafted mermaid skin trim, walnut dash and more computing power than Belgium. Luxury, style, dosh! I’m a massive Elbow fan and it would be an amazing compliment if I ever compared a piece of copyright-free music to theirs. However, with the wizard that he is, I bet if Elbow’s lead singer and lyricist, Guy Garvey, was let loose on penning words to this it would hold up pretty well. The pictures would therefore need to be something equally deep and meaningful – but that’s really handy if you need to create any motivational content. The ending is a bit of a non-event though. Purely selfish I know, but as I produce quite a bit of ballroom dance related content this track is going to be really handy. At over 3-mins long the track develops through different stages – some less complex and reflective, others more full on, but all following a disco-fied Cha Cha rhythm (I know because I’ve tried doing a Cha Cha to it). This is on my favourites list just because it is so well titled. I can actually imagine a dog surfing to it – so much so that I’m seriously thinking of getting a dog and training it to surf just so I can use this track. It’s also another score I could use in my Blues Brother spoof. A great track for producing a documentary or serious package on a hi-tech company/product. Slow in pace, with whirly orchestral whooshes and whale-like sound FX – driven on by piano and drums interspersed with less complex passages. Would suit anything pharmaceuticals, time-lapse construction, architectural and futuristic subject. Picture the scene… a sparsely populated Las Vegas hotel bar in the early hours. It’s jazz time and I think I could write the words to this one! Piano, drums and bass – and Steve Martin singing… “I think I love your smile, the diamond twinkle in your eyes, your blush that colours all my dreams – and then. I always want it to be, you and me in eternity, but more than that I want to know – if so. That when I’m thinking of you, for perhaps a moment or two, that you’re also thinking of me – and then….” (© Kevin Cook). Listen to it, sing my words, it works (if only in my head). We’re at the end of a Quentin Tarantino film where the hero is looking at the death and destruction surrounding him and thinking, “WTF was that all about?”. They walk off into the sunset and the end credits start (and the music plays on through them). Very spaghetti, very steel guitar – very hard to find the right bit of film to use it on but perfect when you do. I can’t get a fashion show catwalk out of my mind on this one, after which we all popped of to the nearest rave. It’s not fast paced by any means, but it’s got an incredibly strong beat to it and lends itself to hard cutting, artistic picture grading and perfect for music-driven caption/graphic animations. Whilst the above are my favourites I think all 25-tracks are worthy of space on this album – and when any of these are used on a project the music is going to play a major role in telling the story. 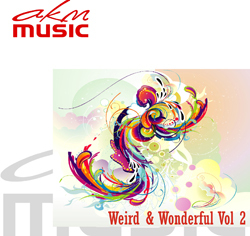 When I’d finished listening to it I had to go the AKM Music website to preview Vol 1 (AK090 – The Weird and Wonderful) as I’d not heard it before. It was good, but I think Vol 2 is way better on would certainly sit somewhere in my top-5 list of AKM Music albums. Buy it – if only to try out my lyrics for track 20! Note: Get 20% off either the CD or CD DOWNLOAD with this promo code ‘HDSLR1’. Click the links in the album titles above to audition. 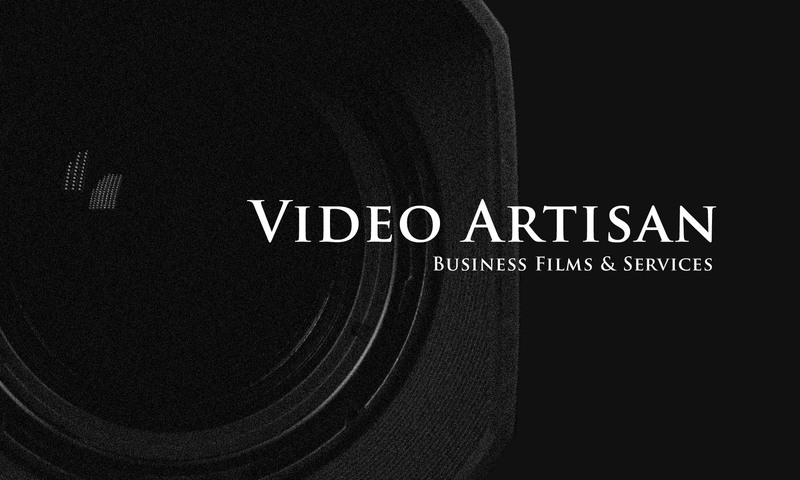 AKM Music has recently released two new albums that caught my eye as a business film producer – AK164 Media Toolkit and AK165 Smile Be Happy. I’m always interested in extending my copyright-free music archive as you can’t have too much of it when trying to find the right music score for your films. These two albums fall into two very different camps. Before I move on to talk about these albums, I need to quickly mention a special ‘End of Tax Year’ offer from AKM Music which runs out on 4th April. If you buy 3 or more CDs or CD downloads you can get an amazing 35% off! All you have to do is use this promo code at the checkout CDOFF14. Get a great deal on AKM Music – offer ends VERY SOON! To give you inspiration you might want to check out some of my other reviews of their music – Here, here, here and here! This album is a collection of sound effects to help you emphasise movement, edits and graphical on-screen action within your films. But their use goes beyond this and can help tell your story and create tension or generally add depth to your soundtrack. It’s important for me to say that this is not a collection of Foley effects (sound effects which are used to synchronise on screen action – such as doors closing or windows breaking) but rather evocative synthesised effects. There’s a great Wiki page on the full scope and use of Sound Effects, but needless to say this album is still a worthy addition to your collection. The album is grouped into nine types of effects ranging from Hits, Whooshes, Stabs and Explosions to Transitions, Underscores and Soundbeds. The Underscores and Soundbeds sections seem a little out of place to me as they’re basically musical arrangements for use as underscores for live action sound or voiceovers. Don’t get me wrong, they’re still useful and produced to the same high standard that we are used to from AKM Music – but they’re not, in my mind, true sound effects. In the past I’ve had to mess about creating these kind of synthetic sound effects from scratch and, whilst very satisfying, can take an incredible amount of time which you rarely get paid for and more often than not go unnoticed (if they are done right!). It’s also worth saying that I don’t get the opportunity (or desire) to use sound effects on every film I produce – but when you do need them they’re very useful indeed. I can see AKM 164 being my go-to album whenever this need arises. It’s going to be particularly useful on opening/closing title sequences and graphics where I want to emphasise an animation. There are also some very handy transitional sounds that will help link scenes together. This one was quite a surprise to me – and a pleasant one at that. I was expecting to hear the usual collection of bright, upbeat and jovial scores to help you add a sense of fun or even comedy to a film. What you actually get is a collection of music that’s got a very wide programme-type appeal – and will no doubt suit as the main theme on wedding films and documentaries as well as corporate films that need a gentle sense of fun about them. Each track has a full version plus at least two shorter versions (60-second and 30-second). Some of the tracks also come with alternative edits too. I really appreciate having these shorter and alternate edits to hand and will often mix between them in post when I’m cutting a track to a specific length. Apart from one track (‘Summer in New York’ – which doesn’t quite fit in for me), they all follow a similar theme which conjures up visions of New England or Shaker-style buildings on warm summer days. Quite a few contain voice or whistle effects, so give a very happy, carefree feeling. I’ve seen quite a few really great wedding films lately and they’ve all used similar music to this. The title track, ‘Smile Be Happy’ is probably the best example of this. The tracks are all mid-tempo with either ukulele/banjo, acoustic guitar or piano as lead instrument. The music is simple, without masses of instruments mixed together but rather something that two or three people could perform live. The ones containing voice effects are very non-descriptive and contain the occasional, “whoo hoo”, “dum dum” or “la la la” type voice sounds – so are completely language-agnostic. As I said earlier, this album is going to appeal to a very wide range of programme types. In fact I can’t say for sure that I’ve not already heard it being used on a wedding film – or maybe even a TV commercial or two (the latest Lloyds Bank animated one uses something very similar). I have a project in mind for it right now. For the past couple of years I’ve been thinking of making a documentary about beekeepers (being one myself) and one of the tracks on this album would be perfect for it – giving the film a happy, gentle, earth-friendly feel about it. Whilst you’d probably not find these two albums appearing on the same film, they are both worthy of shelf space in your copyright-free music archive. 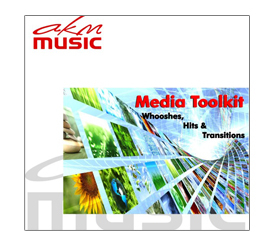 ‘AK165 – The Media Tool Kit’ might be a something that you buy and only very occasionally need – but when you do need it there’s nothing else that’s going to hit the spot. 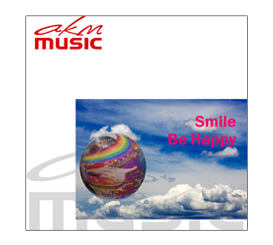 ‘AK165 – Smile Be Happy’ on the other hand is going to appeal to a much wider audience and, I dare say, will be one of AKM best sellers over time. I recently caught up with Anthony McTiffen, the man behind AKM Music at the BVE exhibition at Excel. I was there to interview those exhibitors who had products and services aimed specifically at the professional videographer and it gave me the opportunity to quiz Anthony about the benefits of using copyright-free / royalty-free music within your productions. Click here to see the full collection of short interviews filmed at BVE.